Shine bright wearing this green patiala suit paired with purple color bottom and dupatta. This suit is enriched with chevron pattern prints done all over the top. 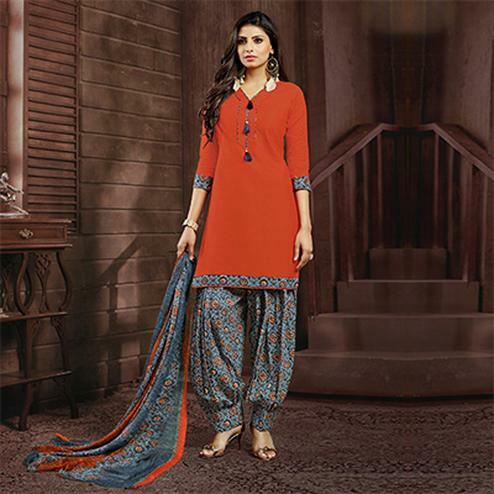 Outfit comes along with printed poly cotton bottom and chiffon dupatta. Ideal to wear for festivals, functions and family get together. Grab this suit now as it's easy to maintain and comfortable to wear all day long.